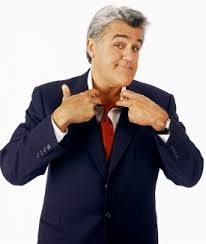 It was announced on March 18th, that Jay Leno will be a part of the Pack Expo International as a part of the Lecture series. The event that runs in Chicago November 2-5, 2014 will be one for the books now that recently retired late-night comedian will be there to liven things up a bit. PMMI, who puts on the event expects the Chicago expo to attract 2,000 exhibitors to a 1.1 million square foot space. The popularity and success of the events can be attributed to the way PMMI has centered their approach on customer needs and preferences. Adding a legend like Leno can’t hurt popularity either. Sunrise Packaging is excited to exhibit at this event, as it will be our first time as more than just a spectator! Also new to the Pack Expo International show is the co-location of Pharma Expo, which is an exciting development that opens the door to new business networking opportunities in automation developments, secure clean room packaging, as well as marketing kits and sales materials. Mark your calendar!